Save-the-date? Check! Dancing shoes? Check! That can only mean one thing — you’ve landed a spot on a wedding guest list! And between rifling through your purse for tissues and mingling at cocktail hour, you’ll need your camera at-the-ready to capture memories you can share after the wedding day has come and gone! Still, while it’s tempting to get snap-happy, it’s extremely important to remember that the professional photographer will assume the primary role in capturing every major highlight and moment from the day. However, you can capture plenty of swoon-worthy moments — without disturbing the photographer’s shots — by using these simple tips. Utilize Camera Features. You’ll be seated for the majority of the ceremony, so try using the zoom function on your smartphone or bring along a camera with an optical zoom function to grab memorable moments! This will allow you to get a more engaging image without disturbing other guests or distracting the photographer. Get Creative with Perspective. Since the photographer will need access to prime shooting points throughout the day, you’ll have limited variety in where you can take photos. Why not put your creativity to use? From a stationary vantage point, test out different angles, focal points and settings. Bonus? The newlyweds will love seeing the moment captured from a different perspective! Be Smart with Your Shots. After a long night of chatting with guests, the newlyweds will likely miss the priceless moments that took place behind the scenes. 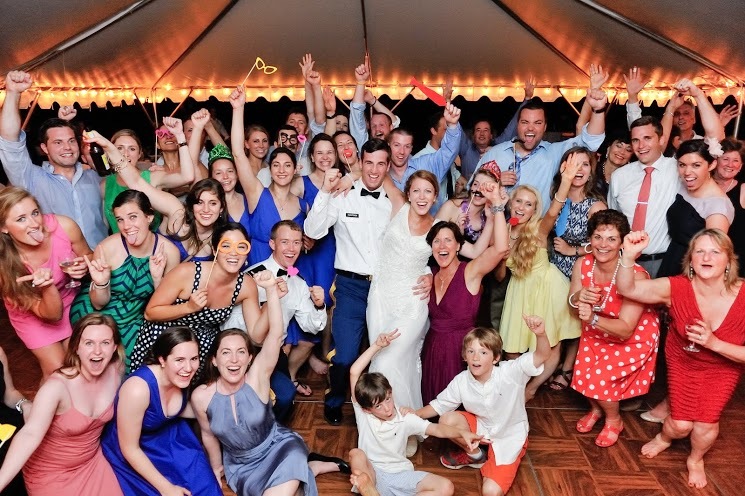 Whether it’s on the dance floor or at the dinner table, focus on capturing those candid moments! And as a general consideration, try turning off the flash and rely on natural light when snapping photos, as flash may interfere with the professional photographer’s shots. A simple rule of thumb? If it’s already bright, you probably don’t need the flash! Have Fun with Hashtags! 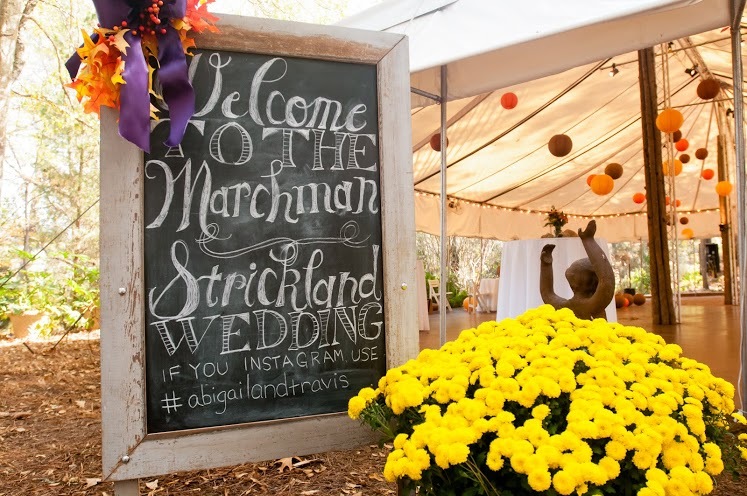 With the advent of social media sites like Twitter and Instagram, couples creating hashtags as a way to keep up with their guests throughout the day! So, be sure to ask the bride if she’s crafted a hashtag for the day and start tagging away! That way, the couple will have the advantage of seeing what all their friends are experiencing. Enjoy the Moment. Whether it’s during the ceremony or the father-of-the-bride speech, you may be tempted to hop up with camera in hand for every single moment — after all, your friend’s wedding is so gosh darn beautiful, right? Still, it’s important to take time to celebrate the day with your friend and the rest of the wedding guests! At the same time, keep in mind that it’s the professional photographer’s role to document moments from the day. So, put the camera down and experience the moment, too! 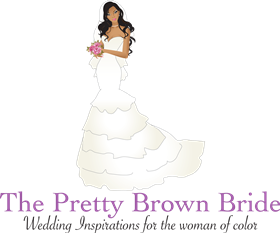 Most importantly, remember the couple has hired a professional photographer to tell the story of their wedding day, so be courteous and conscientious — even if that means stepping out of the way so they can get the shots they need. With these tips in mind, you’ll be able to snap memorable, engaging photos of your friends’ wedding, while still enjoying the day’s festivities! Derek is a George Street Photo & Video Wedding Coordinator. With more than 4 years’ experience, couples can count on Derek throughout the wedding planning process. He is there to ensure our talent has all the necessary information and that they’re ready for the Big Day. When he’s not assisting brides, Derek is out pursuing his passion for acting and directing! His fashion sense resembles that of his icons — David Bowie, Diana Vreeland and Alexander McQueen, which doesn’t accurately give way to his charming personality. A Mississippi transplant in a big city, Derek’s Southern charm makes him one fun-loving guy!